Regular readers will know that I recently completed a garden history course written and delivered by Toby Musgrave for My Garden School. 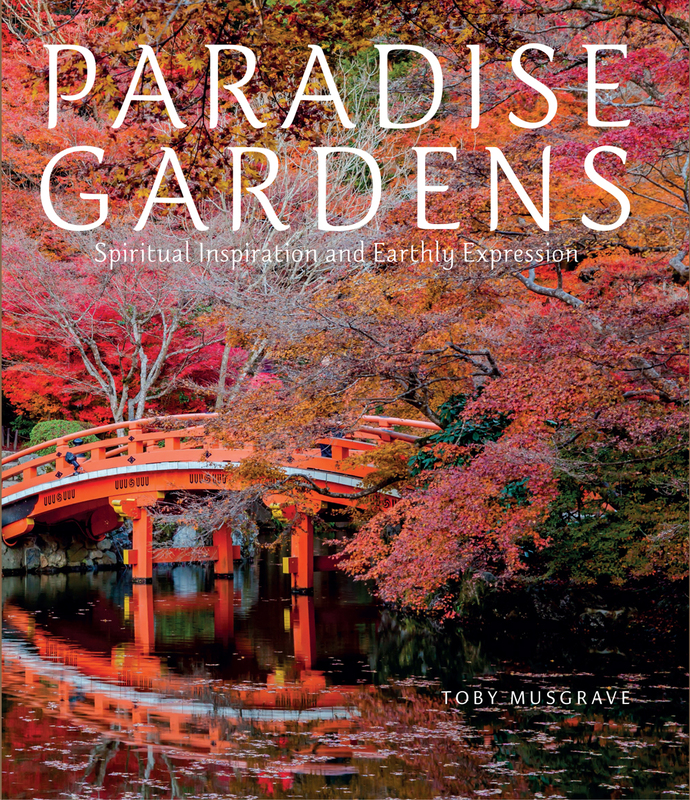 When I was asked whether I would like to review his latest book: Paradise Gardens, Spiritual Inspiration and Earthly Expression I said yes very quickly, it sounded exactly the sort of book I would enjoy. I was not wrong. On starting to read this book you quickly realise it is a book you have to read. That sounds self evident, but I mean you really have to read it, not skim it, not sit with it on your knee whilst watching TV and knitting idly flipping over a page every now and again. This is a well researched, intelligent and thoughtful historical account of how our lives and beliefs through the centuries are portrayed through our gardens. It is, I would say, quite frankly fascinating irrespective of what your own belief system may or may not be. It is full of illustrations, photographs and explanations. The descriptions of the photographs explain what you can see and what you cannot. Ancient long-gone gardens are the missing element that when considered, made me view ruined temples in a new light. The book takes us from Ancient Egypt, to Crete and through to Renaissance Rome. We consider Eastern religions, which I enjoyed hugely. I have spent (brief) time in Thailand and loved visiting the different temple gardens. Reading these chapters reminded me of those visits and helped fill some gaps in my knowledge. The journey takes us to paganism and to North American Native Americans. We are led backwards and forwards across the globe in space and time. We move from Ancient times to the 'Blood Swept Lands and Seas of Red' ceramic poppy installation at the Tower of London to commemorate the outbreak of World War One by Paul Cummins and Tom Piper in November 2014. It is an epic journey. The book gives insight into how belief systems are writ large on our landscapes and for me this means I will be looking afresh at those landscapes. I can fully recommend this book. The book is published by Frances Lincoln on September 3rd 2015. Thank you so much for the review, and so glad that you enjoyed reading it as much as I did researching and writing it. 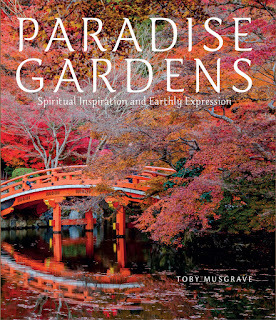 Interesting, I have already too many gardening books, but I think this is one for my wishlist again.